The UK-based marine mammal conservation charity, ORCA, is hosting a one-day training course at Cornwall College, Newquay, on Sunday 13th November. 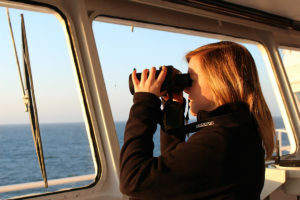 Anyone over 18 can learn how to identify whales, dolphins and porpoises in European waters, record sightings scientifically and actively contribute to their conservation. Once course graduates become an ORCA member, they can apply to join ORCA’s team of Marine Mammal Surveyors in collecting vital data at sea. This will directly benefit marine mammal conservation in informing policy as we learn more about these magnificent creatures. 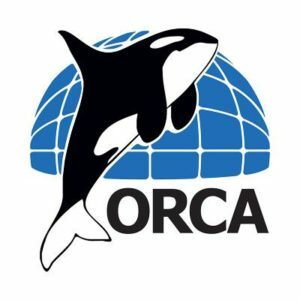 ORCA, who are based at Portsmouth International Port, conducts a range of surveys on ferries and cruise liners around the UK, including one day surveys to the Isles of Scilly as well as two night surveys of the North Sea between Newcastle and Amsterdam. It also surveys in the Bay of Biscay, a world renowned cetacean hotspot, where deep diving whales such as the sperm whale and Cuvier’s beaked whale can be found, along with the fin whale, the second largest whale on the planet.